I’ll share with you some of the places we visited and sites we saw during our trip. Do let me know in the comments of any places that we should add to our list as must-dos for next time. 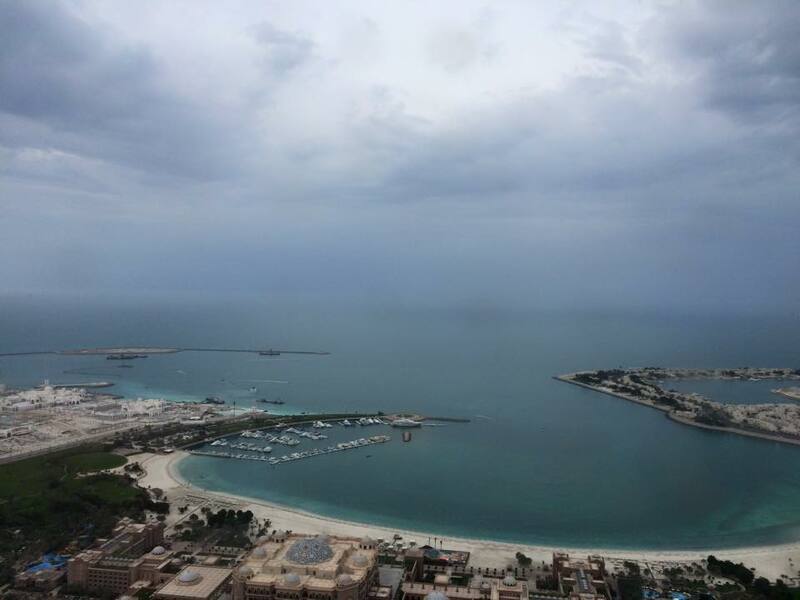 You can often get great deals on package holidays within the UAE so if you are yet to visit, why not consider it for a future holiday! 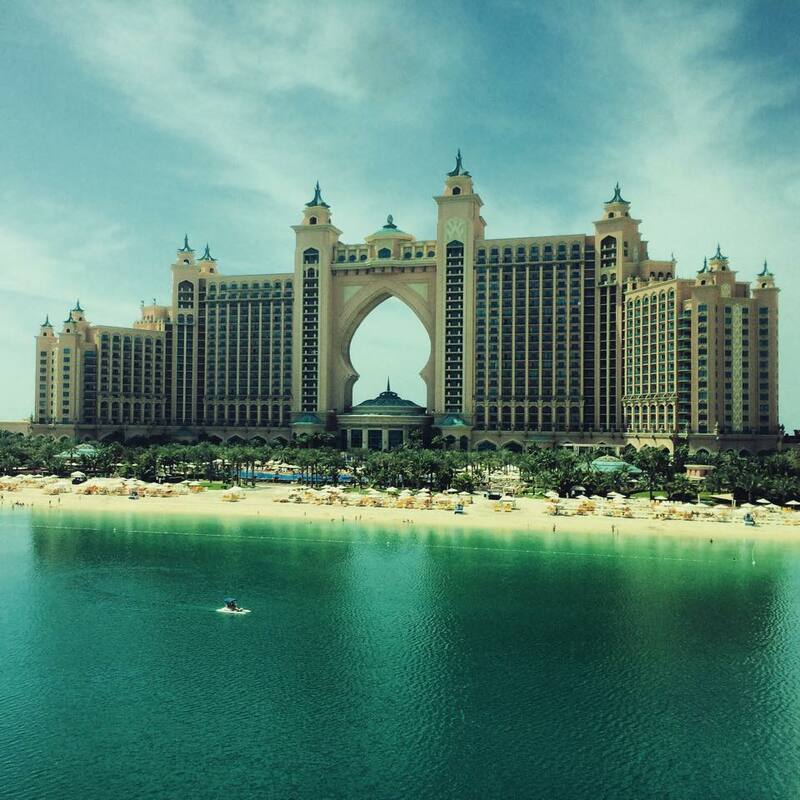 One of the most popular places to stay in Dubai is Atlantis the Palm, but even if you’re not staying in this hotel it’s worth taking a trip there to see it, and while you’re there you can check out the aquarium that’s in the same place. It’s also right next to Aquaventure, one of the most popular water parks in Dubai which is fun for all ages. While in Dubai, you can’t miss exploring some of the malls too. These malls are a step above the malls that we have available in the UK, and while you might not want to spend your entire holiday shopping, the design of some of the malls is unique and beautiful, and there are lots of fun things for families to enjoy in some of the malls too. 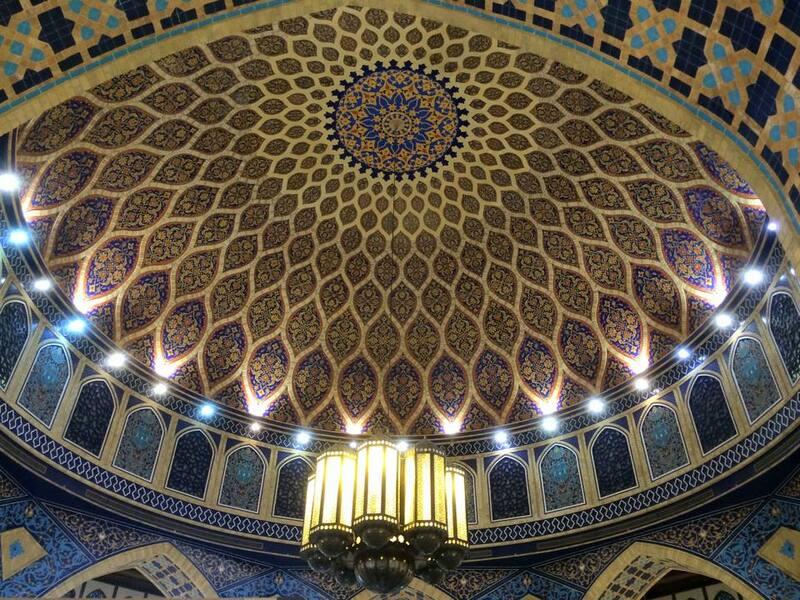 This is one of the ceilings from Ibn Battuta mall, which has six courts each themed around the travels of the explorer Ibn Battuta, and featuring one of the countries that he had explored. 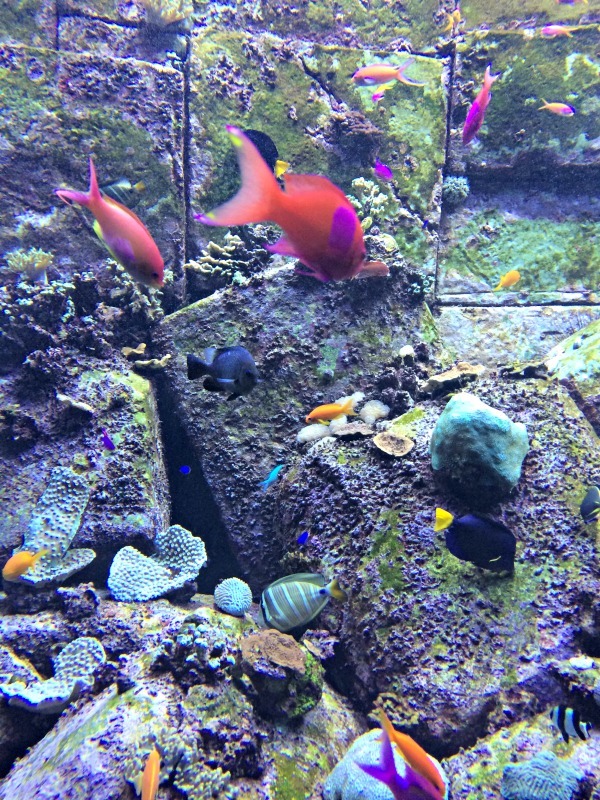 Meanwhile, Dubai Mall offers a regular fountain show at the waterfront outside and includes Dubai Aquarium, along with a ski centre, and sega republic – a place for children to go on rides and play games. 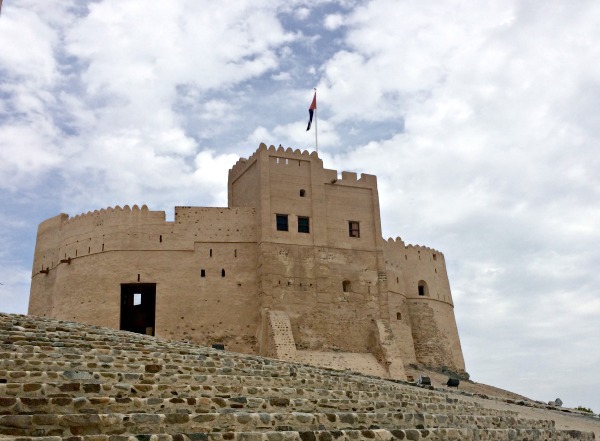 As a contrast to the modern sites and attractions in Dubai, we visited Fujairah to get a taste of the history of the UAE. 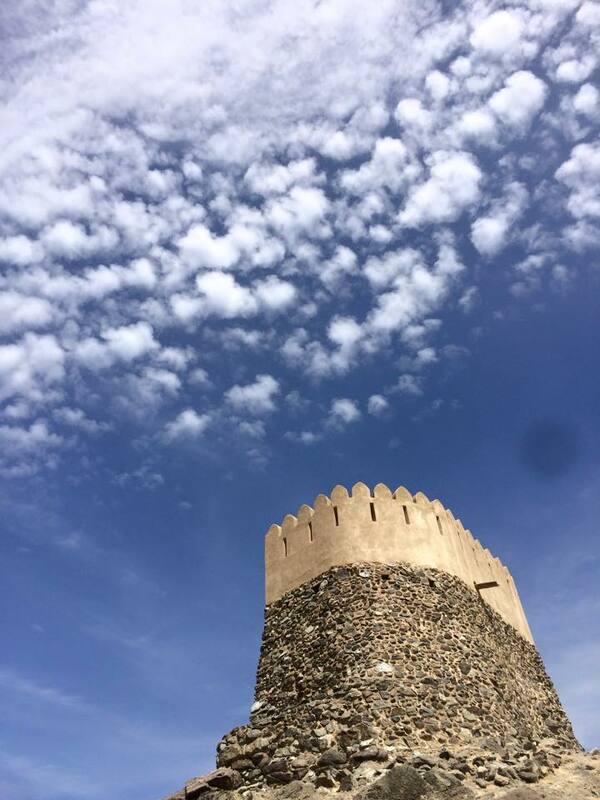 Fujairah Fort was built in 1670 and you’re free to explore the inside. It’s fascinating to compare this with the ruined castles of the UK, which we often enjoy exploring too. Al Bidya Fort is not far away, so we visited on the same day. To do the trip to Fujairah, we hired a local driver for the day which makes it simple to get around everywhere. At the bottom of the hill next to Al Bidya Fort, is Al Bidya Mosque. 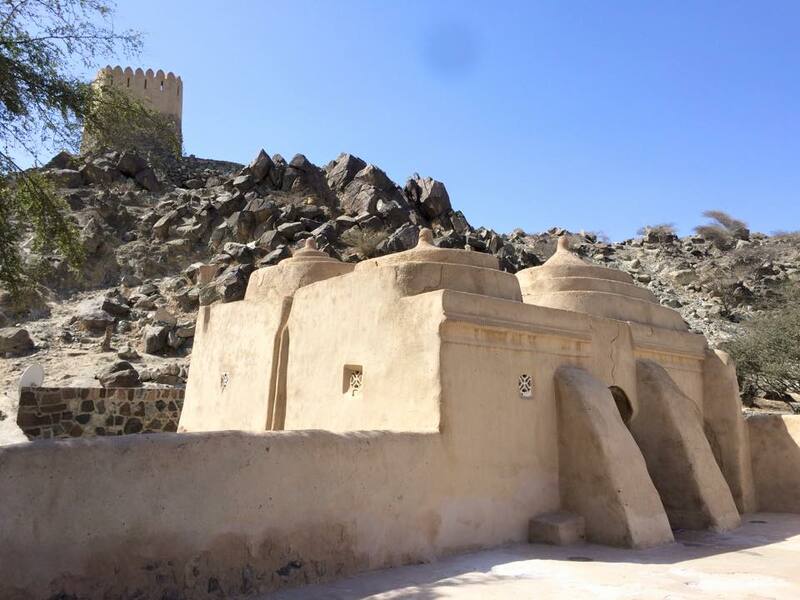 This is the oldest existing mosque in the whole of the UAE. 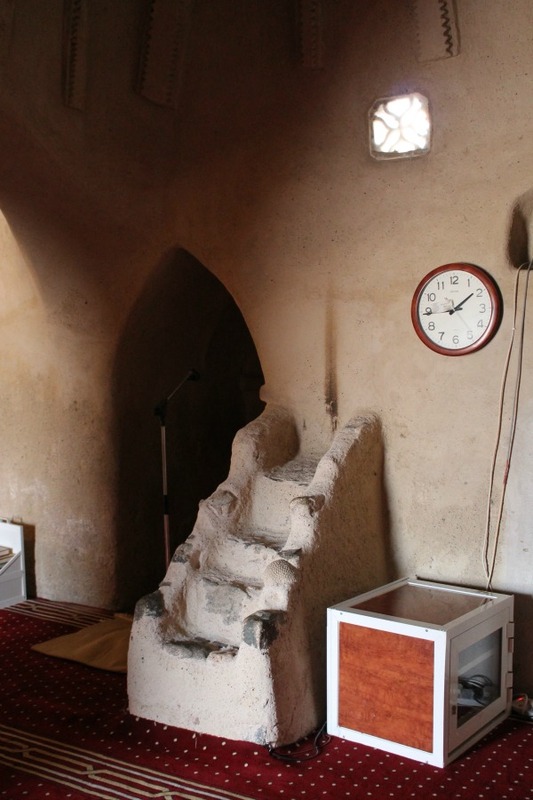 The exact date of it’s building is unknown but it’s estimated to be 15th century. 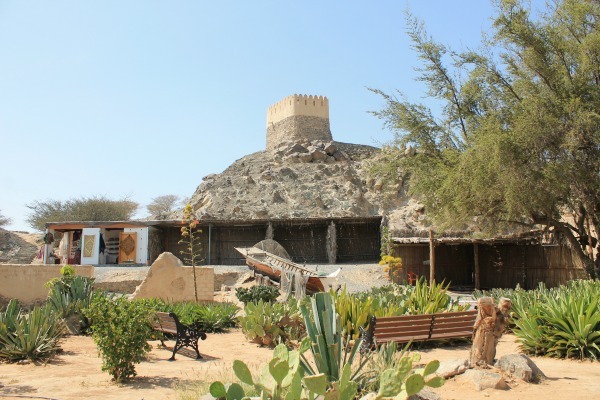 Fujairah Heritage Village gives another view into the history of the UAE. There is a very small entry fee, and then you can wander around and see the traditional houses, boats, and even live stock. It’s fairly small but definitely worth stopping by on your trip around Fujairah, especially if taking children to visit the UAE as it will give them a taste of the traditional UAE life in contrast to all the malls and high rise buildings that dominate today. Fujairah also has beautiful beaches. We stopped by the Gonu Bar and Grill at Le Meridien Al Aqah beach resort to have some lunch right by the sea, and walked along the beach afterwards. The water is beautiful and clear, and the beach is not over crowded. Fujairah Rotana beach resort and spa next door to Le Meridien also offers access to Al Aqah beach, and is a good option for dining even if you’re not staying at the hotel. 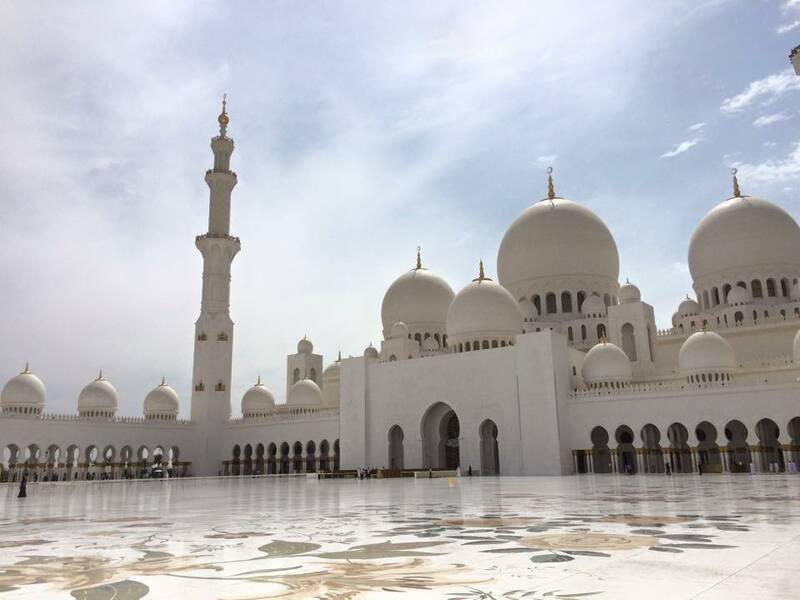 In Abu Dhabi we visited Sheikh Zayed Grand Mosque – a very different sight from Al Bidya mosque, this mosque is much larger (the largest in the UAE) and it is an architectural master piece. This mosque is much more recent, with construction finished in 2007. It really is beautiful, and if you are not Muslim you can still visit this mosque and the surrounding gardens. We visited for our Jumuah prayers on the Friday. 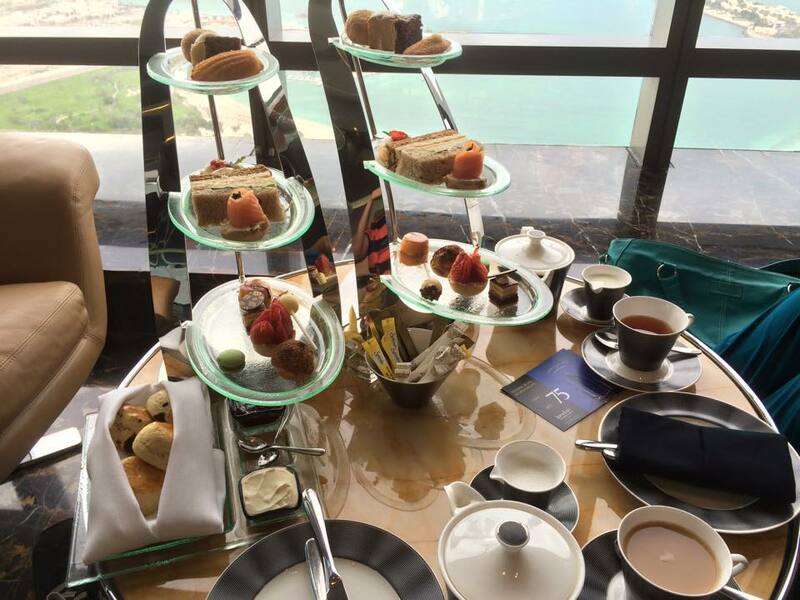 The high tea is beautifully presentedwith a fantastic selection of sandwiches, cakes and desserts along with tea – of course! 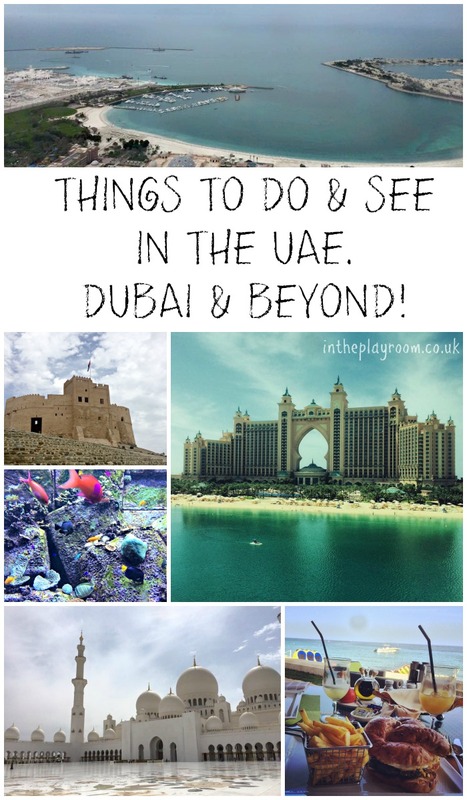 There are many more things to see and do in the UAE, but I hope this gives you a little taste. We can’t wait to go back soon for another relaxing holiday. Dubai is unrecognizable compared to when I visited in the 1990’s, I really would love to go back with my photos and take some ‘now’ shots. I loved Al Ain, if you get the chance to go there and there used to be a really interesting museum in Dubai itself – all outside exhibits. Nuffnang UK | The World’s Leading Blog Advertising Community » Some Blog Wanderlust for You!